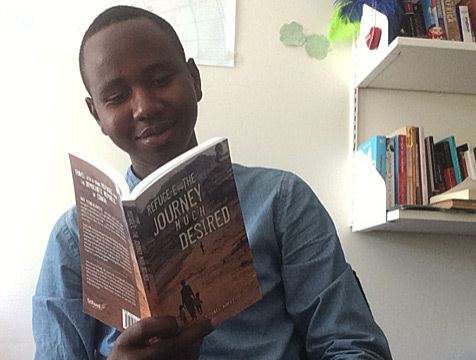 John Michael Koffi approached GoMakeADifference with a view to gaining support to help him write a book of his life as a refugee, for his project The Journey Much Desired. John was studying at UWC Robert Bosch when he applied to GoMakeADifference. After successfully receiving the award, John was able to cover his expenses and write the book, which is now available to order online from Amazon. On 24th June of this year, John appeared on CBC Radio's 'North by Northwest' show, to talk about his fascinating journey, his autobiographic novel, and UWC scholarship.